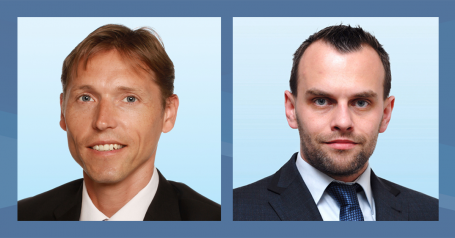 Colliers International today announced that it has promoted both Lukáš Litera and Lukáš Svobodník from Associate to Senior Associate positions. Lukáš Litera has over 15 years of experience in project management, office relocation consulting, facility management, procurement, space planning and developing new business. In his position at Colliers, Lukáš helps clients to consider how the spatial configuration of their office can be used to meet business goals, increase employee productivity and engagement, and reinforce company values. Apart from Workplace Solutions, Lukáš also project manages the fit-out projects on behalf of clients from conception to completion. Lukáš Svobodník joined Colliers’ Industrial team in 2014. He has successfully represented both local and international clients in several significant transactions ranging from lease renegotiation of logistic space to build-to-suit production facilities.